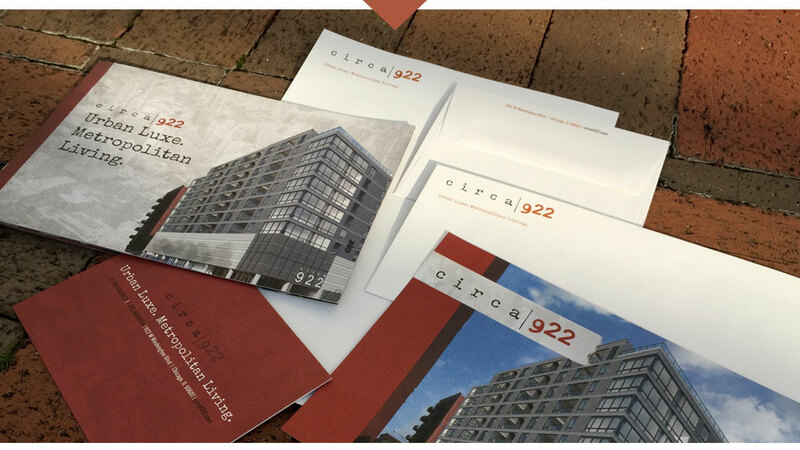 CIRCA 922, on West Loop’s Randolph Sreet, needed a brand that reflected the area and marketing materials that would be relevant and memorable. Atlantic Realty Partners turned to id8 for the expertise in branding and strategic marketing for a new luxury apartment community. Brand new apartments with modern eco-centric design and sleek architecture are seamlessly blended with a completely restored 1910 Printers Loft Building. Branding, collateral design, marketing materials, sales materials, website and leave-behinds all helped to launch a successful new urban community.